Ms. Kauser asks for 50 pamphlets that Miss Berry can send so she can distribute during shows. 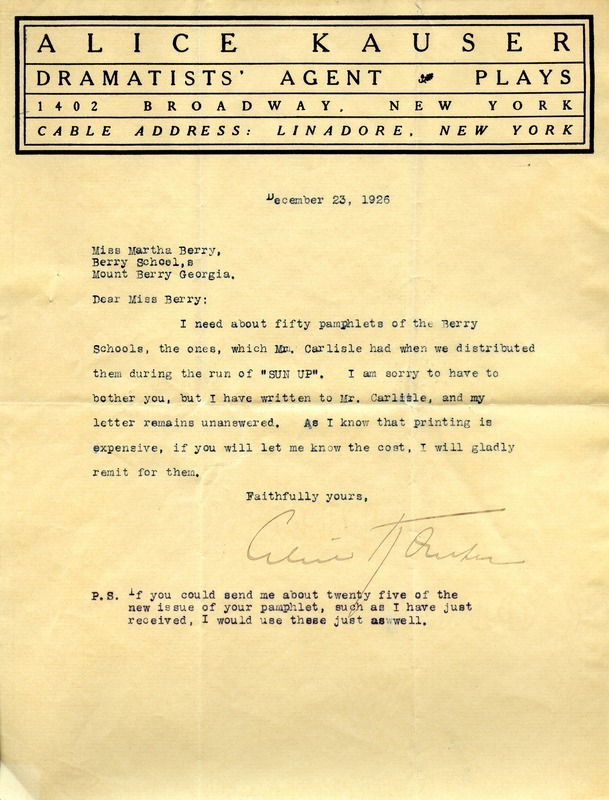 Alice Kauser, “Letter to Martha Berry from Alice Kauser.” Martha Berry Digital Archive. Eds. Schlitz, Stephanie A., Meg Ratliff, Rachel Renaud, et al. Mount Berry: Berry College, 2012. accessed April 19, 2019, https://mbda.berry.edu/items/show/2010.